The winter months can be brutal. Cold weather has you running inside for warmth and comfort, but crank up the heat and something else raises: your energy bills. That's where HouseMasters comes in. They are a local home inspection service that can show you how to use less and get more. That means making some small changes that could save big bucks. We brought Kathleen Kuhn, President of HouseMasters, to a Hoboken condo to show us. "The good news is it's easy and there are a lot of small investments people can make to get big savings" Kuhn said. First, she wraps the water heater with an insulating blanket and does the same thing to the pipes. That keeps them warm with less energy use. Next it's dropping the temperature on the water heater from 140 to 120 degrees. Easy changes that Kuhn says can save you 6 to 10% on water heating costs. Next, Kuhn recommends a programmable thermostat so energy isn't being used when you are away. Kuhn also says you can lower the temperature in your home by 1 degree and save 1 to 3% on your bills! One of the biggest culprits of energy inefficiency are those drafty windows and doors. 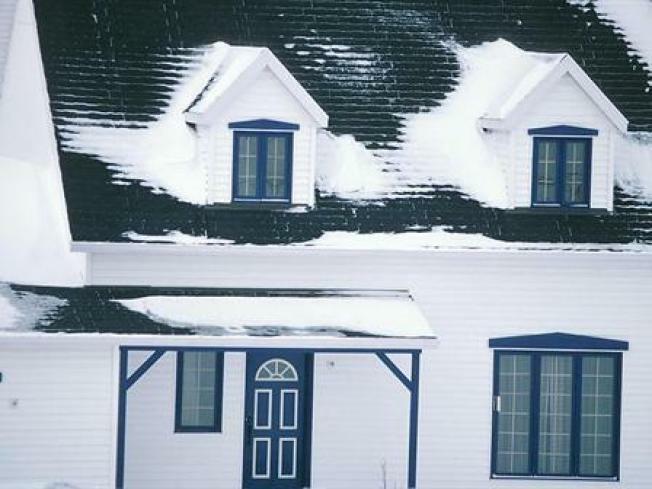 If you weather strip or caulk them you can reduce the amount of cold air coming in or heat that is being lost. You can also reverse the direction of your ceiling fan to recirculate the warm air you do have, all changes Kuhn says are good for the earth and your pocketbook.